Before he moved to New Orleans in the '90s, Ed Petersen seemed like a fixture on the Chicago jazz scene. But the John Coltrane-influenced tenor saxman didn't do much recording as a leader, and he was little known nationally. 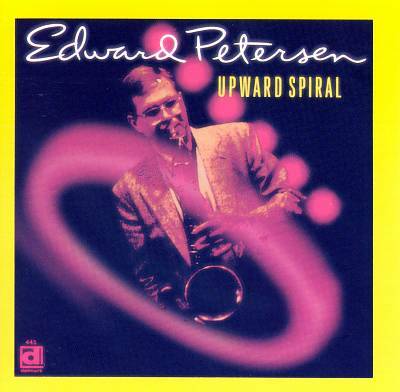 Upward Spiral, Petersen's first album as a leader, gave jazz fans outside of Chicago the chance to hear him with his Windy City quintet of the late '80s, which included guitarist Fareed Haque, pianist Brad Williams, bassist Rob Amster and drummer Jeff Stitely. The post-bop unit is heard performing four Petersen originals at Chicago's Green Mill on June 5, 1989 and five other songs in the studio three weeks later. In both environments, Petersen demonstrates that while he's no innovator, he's a competent and likable saxman. For those who known Haque as a fusion/crossover guitarist along the lines of Al DiMeola and Pat Metheny, it's interesting to hear him playing straight-ahead.